Is cúis áthais don Chumann Lúthchleas Gael, agus le Glór na nGael, a fhógairt go bhfuil seimineár lae á eagrú ar an Satharn, 10 Feabhra 2018, le plé a dhéanamh ar “An Ghaeilge agus an CLG”. 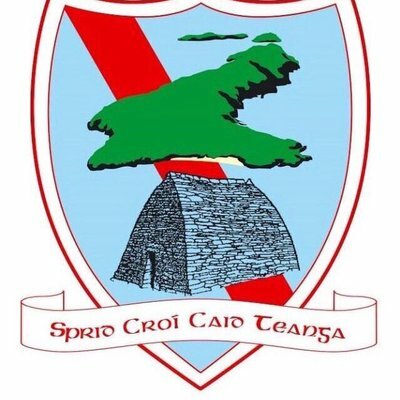 Tá sé ráite ag Uachtarán an CLG, Aogán Ó Fearghail, “go leagfaidh an seimineár seo béim ar an tábhacht leanúnach a leagann clubanna an CLG ar an nGaeilge agus ag an am chéanna déanfaidh sé ceiliúradh ar Bhliain na Gaeilge 2018” Le linn Seisiún 1, déanfar plé ar áit stairiúl na Gaeilge sa CLG. Tar éis lóin, le linn Seisiún 2, beidh Seán Bán Breathnach mar chathaoirleach. Pádhraic Ó Ciardha (TG4) – “Iriseoireacht na Gaeilge agus an CLG” Micheál Ó Sé (RnaG) – “Gaeilgoirí Chiarraí agus an Pheil”. Daithí de Buitléir (Na Gaeil Óga, CLG), Aoife Ní Chasaide (Sleacht Néill, CLG). Mar chríoch, cuirfidh Mártan Ó Ciardha agallamh ar Mhícheál Ó Muircheartaigh lena thuairimí maidir leis an nGaeilge agus an CLG, “Inné, Inniu and Amárach” a phlé. Ní ghearrfar aon táille isteach ach tá spásanna teoranta agus moltar do daoine gur spéis leo freastal áit a chur in áirithint trí r-phost a sheoladh chuig siobhan.nichuana@gaa.ie. Applications are now open for Gaeltacht Scholarships. Any member of a GAA club in Kerry attending a course in Coláiste Corca Dhuibhne this summer is entitled to apply. Forms are available from the District Secretaries and must be returned to Christy Kileen (Kerry GAA Cultural Officer).